On tap are more than 50 films — long, short, documentaries and more. Special event VIPS include Oscar winner Robert Duvall; journalist Bob Woodward; and actor Ed Asner, a consistent supporter of the festival. Today’s presentations will take place in Arlington. The Reston schedule begins Thursday with Life Animated, a documentary about Owen Suskind, a young man with autism who was unable to speak as a child until he and his family discovered a unique way to communicate by immersing themselves in the world of classic Disney animated films. The screening is at 7 p.m. at Bow Tie Cinemas at Reston Town Center. Check the Washington West schedule for Thursday’s other film screenings. On Friday, there is a family-friendly screening of SNOWTIME!, an animated movie. That event is free and outdoors in the RTC pavilion. Bring chairs or blankets. You can also catch Almost Sunrise, the epic journey of ex-soldiers, who battle the moral injuries of war, and the temptation to escape through suicide, as they walk across America; and Endless Night starring Juliette Binoche. Saturday’s highlights include a George Mason University student film showcase; Midsummer in Newtown, a doc about children in Newtown putting on a play in the wake of the Sandy Hook school shootings; and Win From Within, a presentation of three short films, including one about Maryland tennis star Francis Tiafoe, an immigrant from Sierra Leone. 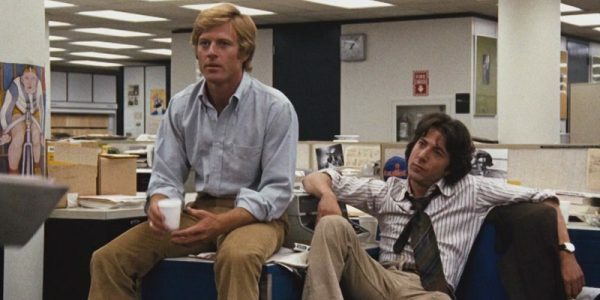 Also Saturday, a 40th anniversary screening of All the Presidents’ Men, the panel discussion with Woodward; and a VIP party in the Pavilion and the In Conversation and red carpet event with Duvall. There is a full lineup on Sunday, including a Sound of Music special event at Wolf Trap National Park for the Performing Arts in Vienna, and the headline closing film, Bleed For This, a boxing story from Academy Award-winning Producer Bruce Cohen (Silver Linings Playbook, American Beauty, Milk). To see the full film festival schedule, see ticket prices and purchase tickets online, visit the Washington West Film Festival online.